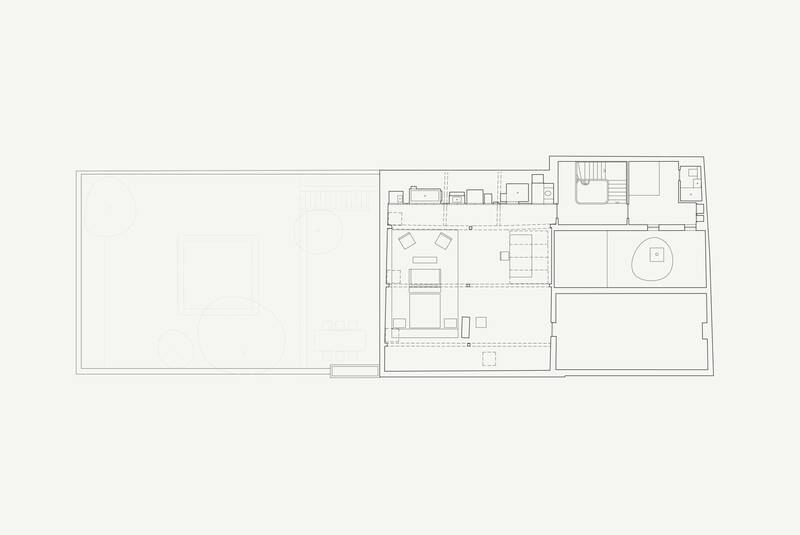 The original VVD II residence project (2001–2003) turned an old notary house into the personal ‘sanctuary’ for Vincent Van Duysen himself – a retreat to which he could withdraw from hectic professional and urban life. 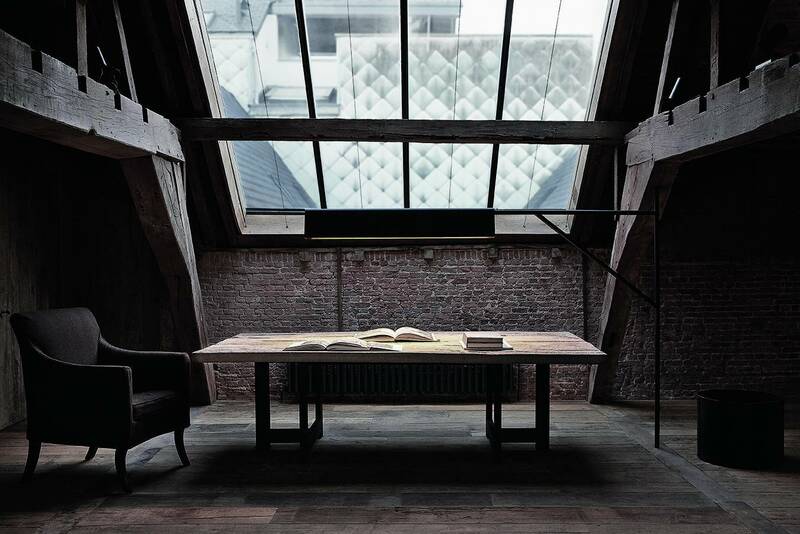 This iconic project used beautiful poplar floors (a typical wood for maids’ rooms in attics in old Antwerp townhouses) in combination with large bluestone slabs and bone colours and textures to bring a light and calm atmosphere to the house. 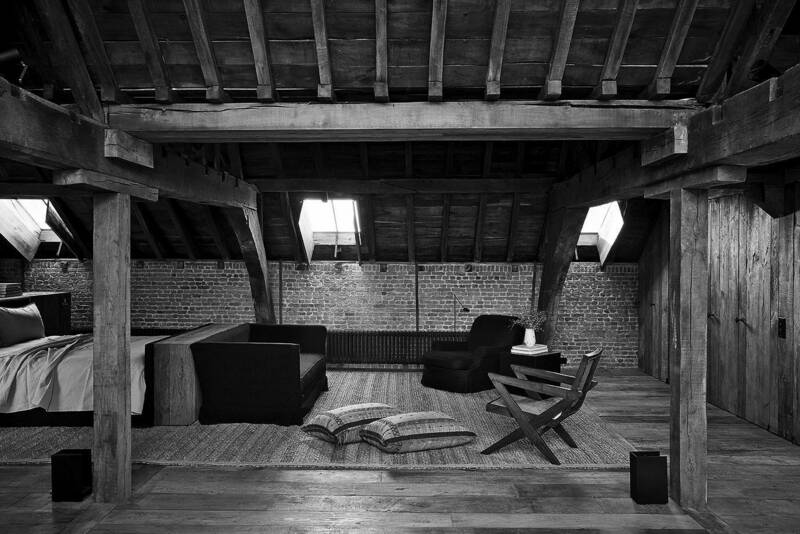 The initial renovation project did not include the beautiful attic, with its old wooden roof structures in deep brown aged oak beams and boards. The attic remained untouched, as it was unclear how best to bring out the character of this hidden gem. 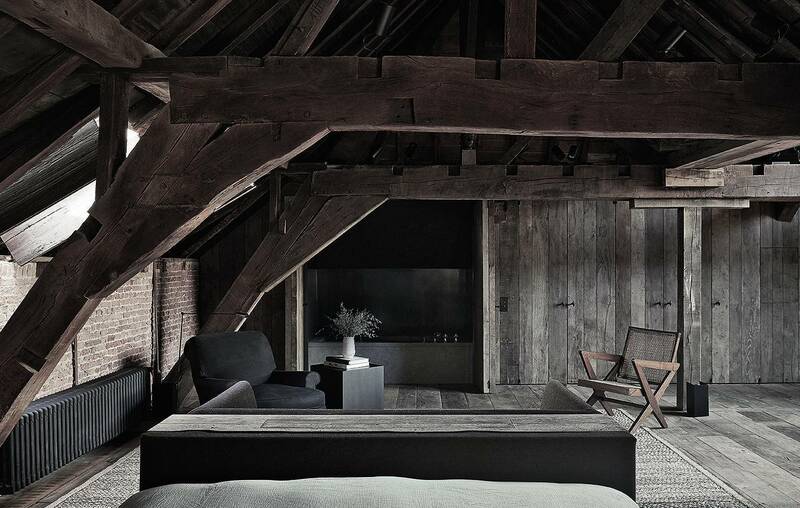 Having lived in the house a decade, Van Duysen felt it would be good to add a retreat within the retreat, and transformed the attic – formerly maids’ rooms and once a true hermit’s living area – into an introverted combination of a winter living room, an extra guest apartment and an atelier. 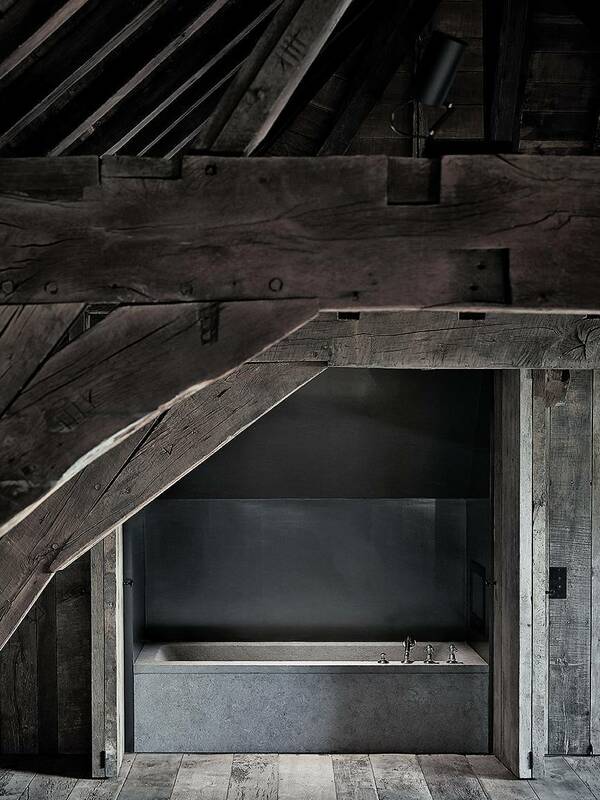 In using 17th-century reclaimed oak, sourced to add a new floor and a functional wall, he guaranteed the conservation of the atmosphere and colour tones of the old attic with its aged brown structures. 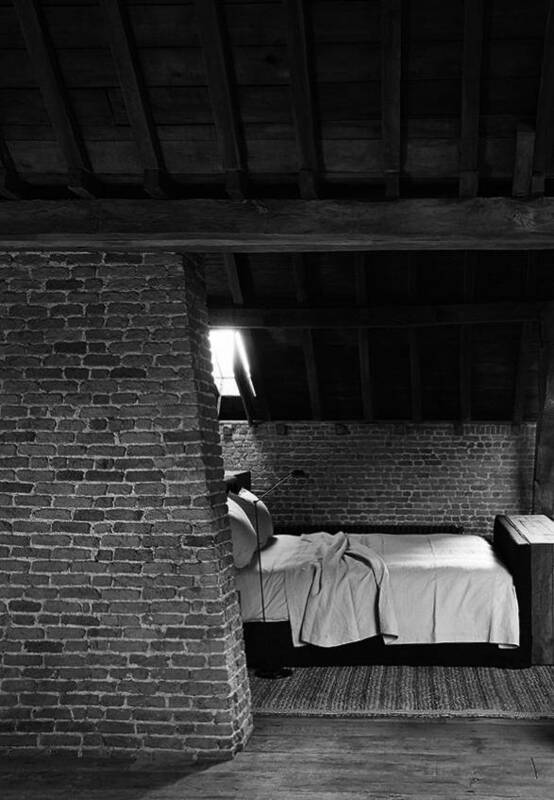 It seems as if time and the project have not changed the attic significantly, but some details reveal the upgrade, such as a tailor-made steel atelier lamp above the working table, and the functions behind the new wall, which conceals a massive Belgian bluestone bath, grey gloss-lacquered shower and a small kitchenette. 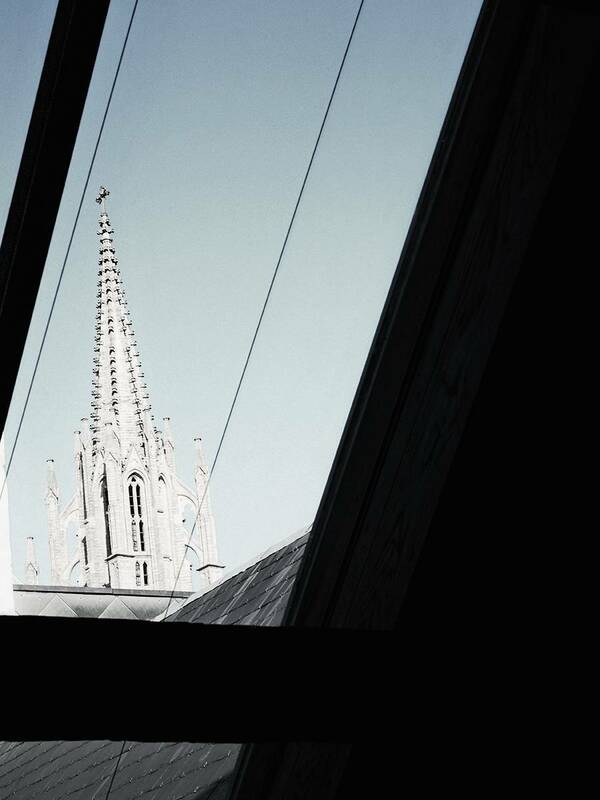 Natural light enters through a large atelier-style window, giving a spectacular view of the ornamented sandstone bell towers of St George Church, a reminder to the visitor that this secluded retreat is in the heart of old Antwerp’s central district.